Hawk and Horse Vineyards, one of the only biodynamic estate vineyard wineries in California, invites you to its first annual Wine Society Social, taking place on September 29th, 2013 from 11:00 am until 4:00 pm. “Join us for a fabulous day of fun, food and relaxation,” says proprietor Tracey Hawkins. As a guests at Hawk and Horse, you'll taste the winery's grand 2006 Cabernet Sauvignon, a library reserve wine, as well as its current release, the 2009 Cabernet Sauvignon. Pre-release tastes of Hawk and Horse's 2010 Cabernet Sauvignon and 2009 proprietary dessert wine, Latigo will also be at hand. Take a horse-drawn carriage tour of the ranch, to meet a stunning herd of Scottish highland cattle and the ranches many beautiful horses. 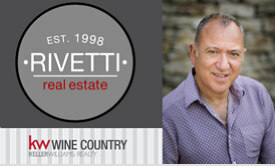 This exclusive winery is located at 13048 Hwy. 29, Lower Lake, eight miles north of Middletown. This special, first-time wine country event includes a celebrity chef hosted BBQ lunch (tri-tip, baked beans, salad and all the fixings). Plus, Phill Burton, owner of Barrel Builders, will demonstrate how an oak barrel is made. The winery’s Wine Society members will be able to take their fall wine selection home with them when they leave. And while this event is free to members of Hawk and Horse Wine Society, you do have the option to join the Wine Society when you call to RSVP. Phone 707 942 4600, or click here for info. Email Tracey@hawkandhorsevineyards.com. Tickets for non-Society members are $45.00 and must be purchased in advance. The horse-drawn carriage features majestic Belgian Draft horses driven by Glenn and Dana Benjamin. Dr. Glenn Benjamin is also the veterinarian of Safari West, and can offer anecdotes about what it’s like to trim the hooves of a rhino or assist in the delivery of a baby giraffe. Hawk and Horse Vineyards is a family-owned and family-operated vineyard and ranch practicing biodynamic viticulture on a historic property in the Red Hills AVA of Lake County, specializing in estate-grown Cabernet Sauvignon and Latigo (port). The first release was 2004 Cabernet Sauvignon. A visit to Hawk and Horse Vineyards is a step back in time, to the white-fence-bordered pastures full of horses, a charming home-turned-tasting room with an antique Victorian bar, historic photos of the property and local memorabilia. Recently the California State Fair awarded Hawk and Horse Vineyards a Certificate of Excellence in Viticulture. Proprietors Mitch and Tracey Hawkins are recognized as some of the leading biodynamic viticulturists in the state. The winery farms its 18 acres of Cabernet Sauvignon, Petite Sirah, Cabernet Franc and Petite Verdot biodynamically. Vineyards straddle slopes from a 15% grade to 85%, at elevations up to 2,200 feet, situated in the Red Hills AVA of California.” An unusual aspect most visitors comment on is that the soil literally glitters, due to the abundance of Lake County “diamonds,” tiny silica fragments which are the remnants of volcanic activity from the Mayacama and Vaca volcanic mountain ranges and nearby Mt. Konocti, a now dormant volcano. “Our family feels that a biodynamic approach brings you a wine which is a true expression of our sense of place,” explain the Hawkins. Hawk and Horse Vineyards has been Demeter-certified since 2008 and California Certified Organic (CCOF) since 2004. The ranch is home to a small herd of Scottish Highland cattle as well as horses and an vast range of wildlife - from Red Tail hawks to bees, owls, bear, wild boar, bobcats, mountain lions and squirrels. Bird-watching brings glimpses of woodpeckers, bluebirds, herons, ducks and more. The property includes a plaque documenting the historical location of El Roble Grande, the largest Valley Oak ever recorded in California. Hawk and Horse's current releases are the 2009 Cabernet Sauvignon ($65), 2010 Cabernet Sauvignon ($65) and 2009 Latigo (a Cabernet-based port-style dessert wine, $85 for a 750 ml or $45 for a 375 ml bottle). Red meat lovers rejoiced at the announcement that SEARED, an upscale new steak house and seafood bar was coming to 'Restaurant Row' in historic downtown Petaluma's boutique shopping district, this summer. Between Antique shops and Italian restaurants, the town's pretty much got it covered. But when it came to a good, old fashioned, well seared steak selection, options were limited. Partners, native-Petalumans-all, Ken O'Donnell, Jeff Inglin and Kent Armbright took over from 31-year-proprietor Graziano Perozzi, at the gracious old, brick Wickersham Building on Petaluma Boulevard, in the heart of downtown, revamping the kitchen to accommodate executive chef, Ken's son Joe O'Donnell. I stopped in with the family for a Sunday supper and was happy to taste for myself that the many good reports I'd been hearing on the menu at SEARED were warranted. From the restaurant's New York Strip, 21-Day, Dry-Aged Ribe-Eye and T-Bone, to Prime Rib and Filet Mignon (weekends only) - steaks are sourced from grass fed farms in the region, complimenting appetizing daily soups made from local ingredients and salads such as The (tasty) Wedge, featuring Star Route Farm little gem, sweet 100 tomatoes, crispy shallot, Neuskes bacon, Pt. Reyes blue. I enjoyed a great little House Salad of Green String Farm greens, toasted hazelnuts, shallots, nectarines, Purple Haze chèvre and hazelnut vinaigrette, though it was a tough choice over Charred Nectarine with Bellwether Farms ricotta, wildflower honey, sea salt, pistachio, preserved lemon. Service was great, food was perfectly timed and it was fun to see lots of familiar faces amongst the restaurant's staff (hired on from Graziano's team) and folk out for dinner with their families. While the men in my life went for different (all equally delicious and substantial) steaks, and sides of tasty Mac and Cheese and creamed spinach, after a sizzling starter of ahi tuna sliders with peppers, it was a thumbs up from me for my choice of the daily special seared grass-fed pork with pink lady apple sauce. We didn't have room for dessert, but a slice of Peach Upside Down Cake with Bourbon Maple Ice Cream would have been my pick. Though the team at SEARED has done a fair job in the swift re-branding of this popular eaterie after three decades as an upscale, traditional Italian restaurant, there's something missing from the ambience. I'd like to see the chandeliers make way for wine barrel candelabras or maybe barnyard industrial steel lighting, a crisper wall color and lots of super-sized bucolic art from this farm food region to bring the outside in. With nearby Central Market currently closed for repairs following a chimney fire in early September, now's the time for SEARED to attract many of the most discerning diners in the area. I don't think that a steak house should look too similar Central Market's space, I do prefer a slightly less formal approach in an upscale Sonoma County eaterie's interior design. After all, most of the customers appeared to be casually dressed. And while red roses had their day for many-a-year in Graziano's classic Sinatra-style decor, it would be nice to see something slightly more rustic/luxe on the table settings, to compliment the restaurant's super fresh, farm to table food. For value for money, SEARED has it dialled in for a quality dinner out in downtown Petaluma. Focus on a regionally-sourced menu was a smart choice. Serving up the best steaks in town on a consistent basis has placed this new restaurant in a good position as a mainstay of the south county's dining out options. As for the decor, well that's not too much of a biggie at this point. Last year's Vintage Trailer Rally Open House & Trailer Yard Sale had more than a few of my fellow Southern Sonoma County'ns drooling over these beautifully restored wonders of independent travel. With hotel and resort prices in the West so outrageously overpriced, who wouldn't want a shiny, retro trailer in which to rest their road-weary head, by the coast, up in the mountains, or out in wine country? There are so many super-cool vintage cars and trailers to step inside and take a gander at - sheer inspiration for style and design fans. And if you've yet to explore the Petaluma KOA, it's a double eye-opener. What a fun family-friendly facility on the edge of town. In Jack London: An American Life, noted Jack London scholar and Wilson Professor of American Literature at Centenary College of Louisiana, Earle Labor Ph.D. explores the brilliant and complicated novelist lost behind the myth. I'm putting this at the top of my fall reading for 2013, once it publishes on October 1st. Here is an author who has dedicated much of his life to returning London to his rightful place in the American pantheon, up there as one of the country's greatest writers of all time. The fact that we are so close to the physical legacy of Jack London here in Sonoma County, that we can actually touch it, step foot on his Beauty Ranch land, a continually thriving State Park (thanks to its troops of innovative non-profit devotees), makes the prospect of a new book all the more compelling. What a spectacular cover image for this new book. Every Sonoma County reader needs a copy of this. To learn more about the author and the background to his being respected amongst the nation's top literary circles as the 'true blue Dean' of Jack London studies, click here for an illuminating interview with him at The World of Jack London. October's Special Anniversary Issue of Vanity Fair packs a hefty punch for prospective reading material for at least the next month. Vanity Fair is the one magazine that I subscribe to that I don't just image cruise for ideas and inspiration, recipes and seasonal wardrobe wish-lists. Feature articles are just too fine to skim. It would be rude! This month's commemorative issue covers each decade over the past century since its inception. From the Jazz Age to Our Age, guest feature writers include Bono, Dave Eggers, Julian Fellowes, Laura Hillenbrand, Bill Maher, Jan Morris... the list goes on and I can't wait to dive in. I've also enjoyed checking out the newly released Vanity Fair Decades Series of short films. There's a little bit of work involved in pulling them up on screen, but if you've a few minutes to share, even the trailers are interesting to view. The hardcover coffee table book, Vanity Fair 100 Years will be released next month, showcasing a century of personality and power, art and commerce, crisis and culture—both highbrow and low, utilizing wit, imagination, literary narrative and roundbreaking imagery from the greatest photographers, artists, and illustrators of the day. The book also takes a decade-by-decade look at the world as seen by the magazine, stopping to describe editor Frank Crowninshield and the birth of the Jazz Age Vanity Fair, the magazine’s controversial rebirth in 1983, and the history of the glamorous Vanity Fair Oscar Party. Hot on the heels of HBO Television's wildly successful Game of Thrones fantasy series, comes another period tv drama series, this one a collaboration between American PBS and the BBC. The Hollow Crown is a new series of filmed adaptations of four of Shakespeare’s most gripping history plays; Richard II, Henry IV, Part 1, Henry IV, Part 2 and Henry V, brought to television in what promises to be a lavish production of the Bard's timeless works as full-on films on striking location with large numbers of extras. This state-of-the-art story-telling chronicles a bloody tale of family, politics and power — bringing the rise and fall of three Kings and how their destiny shaped English history to life. Richard II (Ben Whishaw) is a vain, self-indulgent man who rules with little regard for his people’s welfare. He is ultimately overthrown by his cousin Bolingbroke (Rory Kinnear), who ascends the throne as Henry IV (Jeremy Irons). Henry IV’s reign is marred by his own guilt over Richard’s death, civil war, and the gnawing fear that his son Hal (Tom Hiddleston) is a total wastrel unworthy of the throne. When Hal comes to the throne as Henry V he is left to bury the ghosts of his father’s past while fighting both the French forces as well as his own inner demons. An educators' guide provides a superb series of infographics, perfect for today's multi-media classroom. Taking Gold at the prestigious Sonoma County Harvest Fair is pretty much as good as it gets for a hobby winemaker. This week's announcement that Southern Sonoma Country Life's resident vintner, Timo has taken his fifth in a row (excluding the year that we lost our grapes to weird weather & a super-sized swarm of yellow jackets), makes a Gold Medal for our 2010 Que Syra Syrah all the sweeter. To friends, family, neighbors who stopped by at various stages of the 2010 harvest to help us hand sort the clusters (early mold had started to set in while fruit was hanging on the vine), crush, press, bottle and all things in between, we thank you for making what sometimes feels like a mammoth effort of backyard grape farming and winemaking, so completely worth while. This one was Marley's vintage. Marley's our 12-year-old, manx-cross vineyard tiger/hunter, so fabulously captured above by young, multi-media artist/musician/sound engineer, Damon Karr. Renaissance Faire goers in the Bay Area have long since lamented the departure of the original Pleasure Faire, from Black Point, since Queen Elizabeth, William Shakespeare, Sir Francis Drake and their merry entourage bid a final farewell to the forest, back in the fall of 1998. Though the revels of 16th Century England live on in countless, more commercial spin-off events around the country, there are several smaller Renaissance Festivals that have emerged as quality re-enactments well worth a visit. One of which is right in our backyard. Well, leafy, historic Ives Park, Sebastopol to be precise. Members of the Guilds of St. George and St. Michael and other Renaissance travelers invite you to the fourth annual Much Ado About Sebastopol, a 16th century Renaissance apple harvest faire come to life in the mythic hamlet of Fenford. Two days of historical re-enactments, entertainment, games and refreshments for the entire family take place 10 a.m.- 6 p.m. Saturday, September 14th and 10 a.m. -5 p.m. September 15th, 2013 in the park at 7400 Willow Street. Proceeds from this historically accurate faire co-sponsored by the Sebastopol Educational Foundation and The Guild of St. George, Inc. benefit three of Sebastopol’s public schools: Park Side Elementary, Brook Haven K – 8 and Analy High School. Interactive living history performances, parades, storytelling and sword fighting are amongst the activities planned for the two day festival. Ongoing entertainment ranges from musical and theatrical performances to storytelling and juggling to archery and swords. Faire highlights also include a Renaissance scavenger hunt for kids of all ages, make & take craft booths - herbal soap making, leatherwork, falcons, and more historical demonstrations and workshops about spinning, chainmaille, cheese-making, and Elizabethan spies. A 16th century style marketplace includes fortune tellers, herbs, jewelry, floral garlands, wearable art, meade mugs, and more. Refreshments range from grilled turkey legs and sausages to gallettes and crepes to seafood, artisan cheeses, chocolates, and more. Fenford's Pip and Vine Tavern will serve local high-end wine, hard cider and beer. The Tavern is sponsored by Lagunitas Brewing Company. The Sebastopol Educational Foundation is a non-profit organization that raises funds to provide education and enrichment programs to the Sebastopol Union School District. The Guild of St. George, Inc. is a non-profit, public benefit educational corporation dedicated to teaching history through interactive theater. Family-friendly, the Much Ado About Sebastopol draws costumed Renaissance Faire goers and audiences from all around the North Bay area. More than 4,000 people attended last year’s event. This year’s attendees will have an opportunity to enjoy the privileges of becoming citizens of Fenford. Single day tickets: $15 adults, $10 students (ages 12 – 17). Weekend Pass: $25 adults - $15 students. Children 11 and under are free. Pre-sale discount tickets: $8-$20. For more information about the faire or about becoming a Fenford citizen call 707-481-8213 or visit www.muchadoaboutsebastopol.com. How spoiled for choice are we here in Southern SoCo when it comes to the best bites of the West? A Fall Farm Dinner at Tara Firma Farms, Petaluma, on Saturday, October 5th, 2013 kicks off with a toast of wine and a greeting from farmer Tara Smith, followed by a special guided tour highlighting fall activities on the farm. Decadent, organic dinner delights, sourced from this and neighboring farms, prepared and introduced by Tara Firma's farm dinner's chef are set to be served at sunset in the rustic dining area overlooking the garden. Before dessert, the farm's founder, Tara plans to give a brief keynote on current undertakings and future innovations. Half of the available seats have already been reserved, so if your calendar could do with a tasty fall highlight, don't miss out on one of the season's best farm dinners. For More Information and Reservations Click Here! Long Lost Love Reunites at Cinnabar Theater's "The Pavilion"
Southern Sonoma County's Cinnabar Theater's current production: "The Pavilion" - hailed by critics as "an 'Our Town' for our time," is a tender look at two former lovers who encounter each other at a high-school reunion. This uplifting play comes from Emmy nominee Craig Wright, who also penned episodes for TV shows like "Six Feet Under" and "Lost.". Directed by Tara Blau, starring Jeff Coté, Nathan Cummings, and Sami Granberg. Fridays and Saturdays at 8 p.m. / Sundays at 2 p.m.
Buy online at anytime… or call Monday through Friday between 10 a.m. and 3 p.m.
Tickets may also be available at the door, but reservations are recommended.